What Are These Strange Bright Spots on the Sun? From our perch here on Earth, the sun seems pretty uniform from day to day. But a closer look in this new magnetic map reveals that it’s teeming with activity—and with some intriguing bright spots. 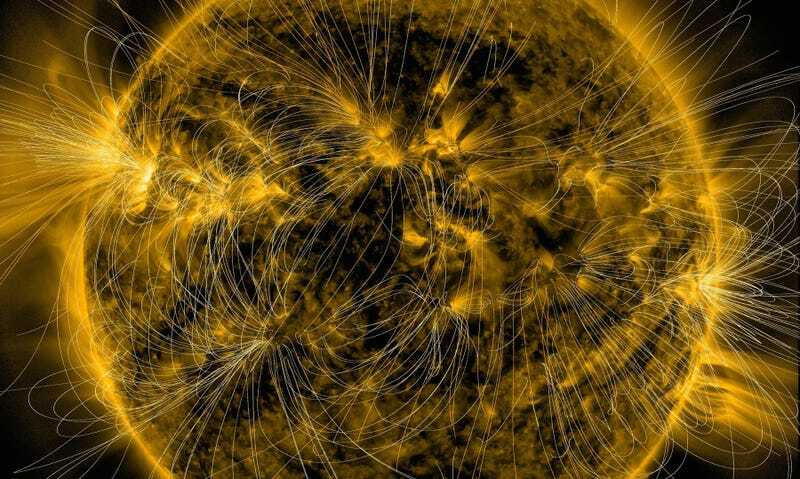 NASA’s Solar Dynamics Observatory released this new magnetic map they put together of the sun to show all the magnetic activity surrounding it after taking a series of measurements on the solar surface. But there’s also something else going on. Look at the lines—they’re not just swooping outwards chaotically, there’s an order to it. The lines converge on the brightest points of the sun. That’s because those bright spots are the places that are most magnetically active, when researchers look at the magnetic field lines they can also see how those active places are moving and changing.